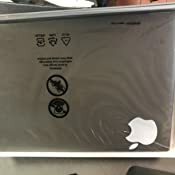 AppleCare product must be purchased with an applicable Apple device. Terms & Conditions will be delivered via email post-enrollment and can be downloaded through your Digital Items Page (Your Account-->Games and Software). AppleCare+ will automatically be enrolled at time of purchase, and Proof of Coverage will be emailed within 3 days after your device ships. The Apple 87W USB-C Power Adapter offers fast, efficient charging at home, in the office, or on the go. 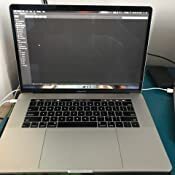 I finally had no choice but to replace the 2013 vintage MBP (excellent machine) and I nearly decided to go with a PC instead. Part of me wishes I had and I may still return this. My bottom line: do NOT upgrade if you can avoid it, but if you *must* then recognize that it will be a step-down in usability. 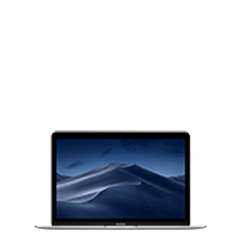 For me, it is the most annoying Apple portable I have bought since the Powerbook 5300 (which is the POJ product that caused me to switch to PCs in 1990s). I may still send this back in exchange for a PC. The many years of projects on Apple software is the only discouraging me from doing that. 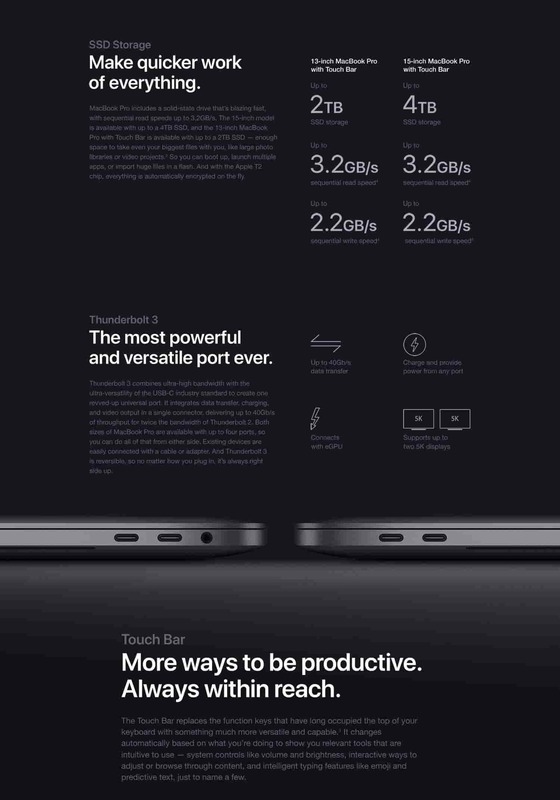 I may just take the performance hit on the MacBook Air and buy an external SSD. 2.0 out of 5 starsA fast machine with some not-so-great features. 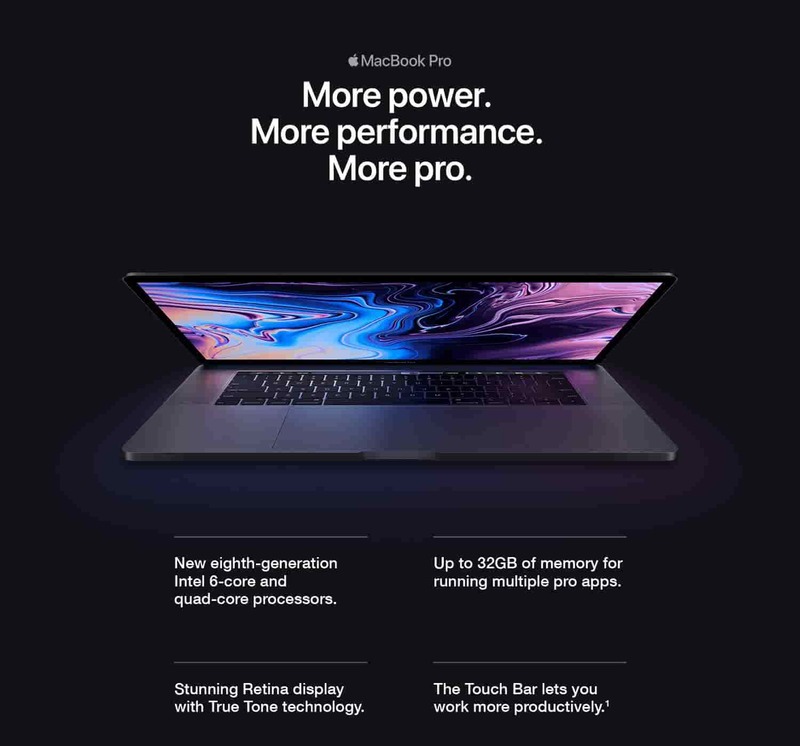 Like most Apple products, this new MacBook Pro is a mixed bag of very good and unbelievably stupid features. * Touch ID! A long-overdue addition, great for signing on quickly and securely. 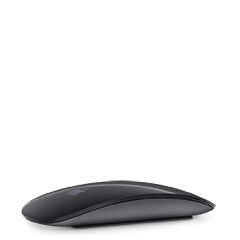 * Fast 8th generation Intel processors (6-core i7 on mine) and super-fast SSD storage. * That keyboard! 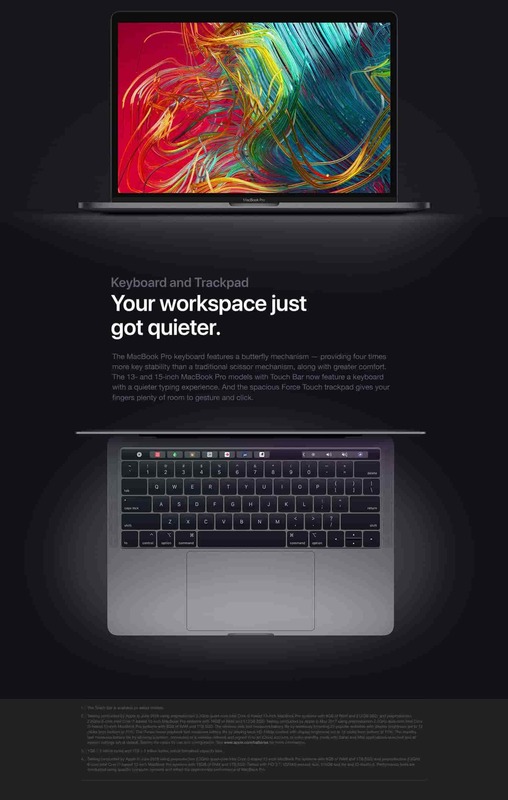 In their idiotic quest to make the Macbook Pro another fraction of a millimeter thinner, Apple took what was arguably the best laptop keyboard ever made (with “scissor-switch” keys that were super-comfortable, extremely reliable, and nearly dead-silent) and replaced it a couple years ago with “butterfly-switch” keys, which are noisy, uncomfortable, and so unreliable that Apple is now facing a class-action lawsuit as a result. The mid-2018 version adds a silicone membrane under each key to cushion each keystroke and make it quieter, but it’s still much noisier and much harsher to type on than my 2013 model. Reliability is still questionable, especially since (according to CNET) Apple says they didn’t make any engineering changes to address the problems. 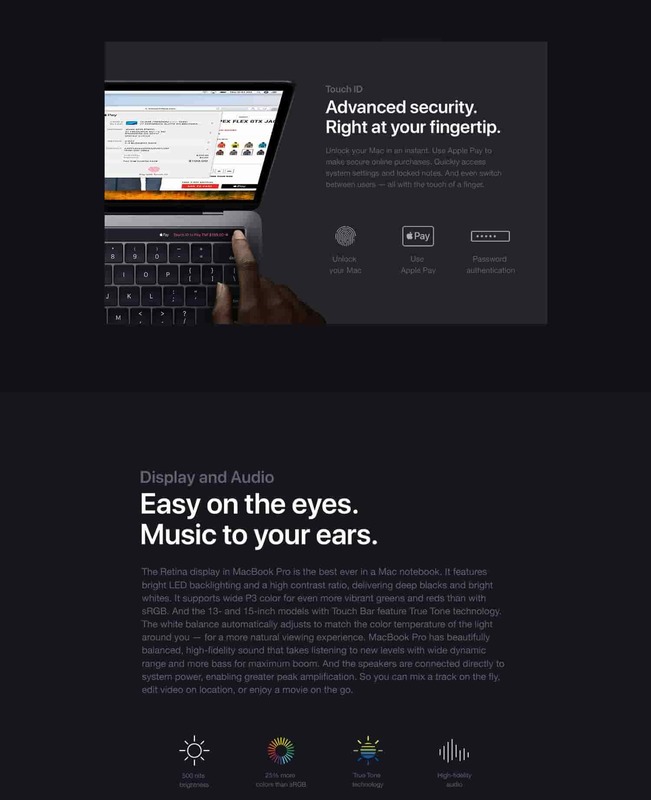 * The TouchBar, which replaced the row of function keys. It was very confusing at first, since key selection and placement varied depending on which app was currently in use. 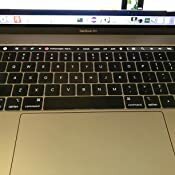 I’m used to having the function keys in the same place every time, but the TouchBar was constantly changing. I finally discovered that in the System Preferences > Keyboard settings, I could customize the TouchBar to keep all my familiar keys in the same place, no matter what app I was using. It’s now much easier to use, but it’s no improvement over the old but still very-useful row of fixed function keys. 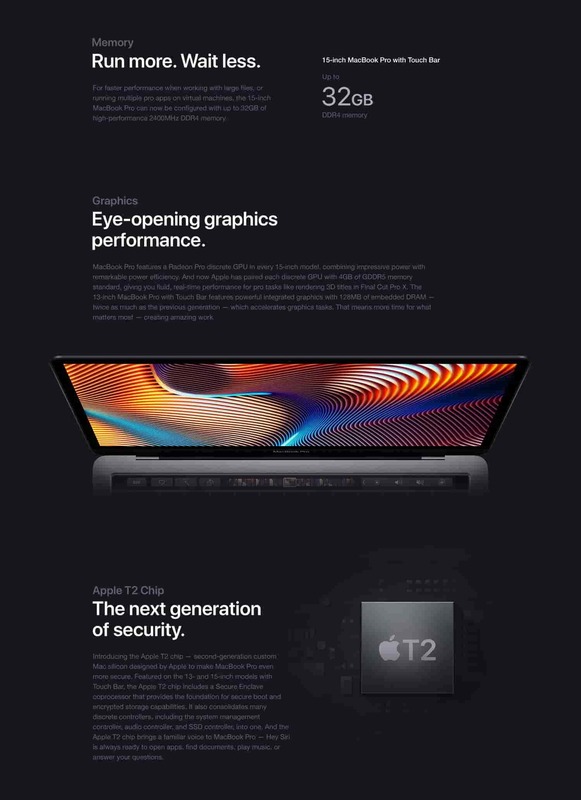 * The Retina screen. It’s good, but outdated. 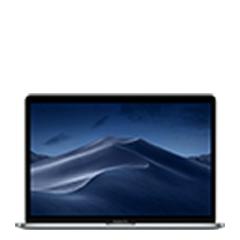 This is the 7th year Apple has used the same screen resolution, while virtually every other manufacturer now offers 4K screen options on their laptops. 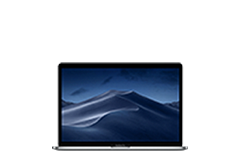 * No ports except USB-C. Gone are the USB-A, HDMI, and Thunderbolt 2 ports, along with the SD card slot and even the mag-safe power port. 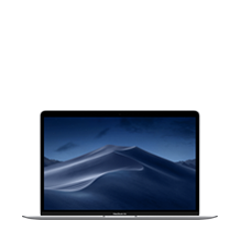 Connecting older peripherals requires purchasing the appropriate dongle -- a cumbersome solution and a waste of money, considering Apple could have easily included additional ports in the machine itself. 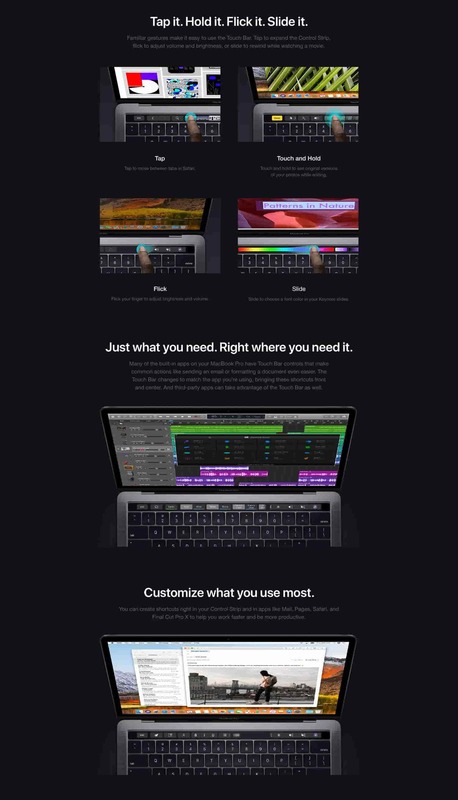 If my old Macbook Pro wasn't starting to fail after several years of constant use, I would never have purchased this new model. At least I didn't have to pay full price, since it was 10% off during Thanksgiving week. 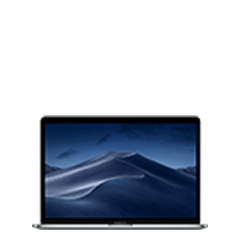 Apple hit it out of the park this year with the inclusion of the 6 core 8th gen Intel processors. 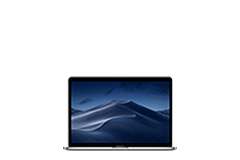 Speedier DDR4 memory and insane SSD speeds help as this is 1 of the fastest Mac's you can get, all in a nice portable size with a great screen. The discrete Radeon 560x graphics with 4GB helps with video editing and other tasks. Battery is better than last years models as well. 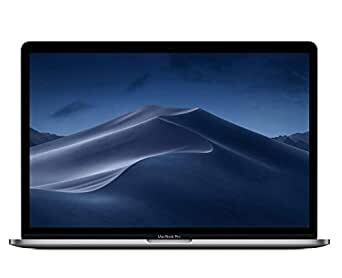 I originally purchased the 13" 2018 MacBook Pro with i5/512GB SSD/8GB LPDDR3, but quickly found that the screen size was not for me. Its a pound lighter and little smaller, but I don't find carrying the 15" to be bothersome. 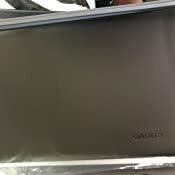 Apple has done a great job at getting the build quality of these MacBook's down. While the 13" was fast and fluid, the smaller screen size is what ultimately made me switch. Of course the 15" feels snappier and smoother thanks to the 2 extra cores, faster DDR4 memory, and the discrete graphics. Both machines for 2018 are great upgrades over last years model.